As of December 15, 2016, Buzz will incorporate icons indicating that a teacher has provided feedback for a submitted activity. Indicators will appear only on activities for which feedback is provided on December 15, 2016 or after. 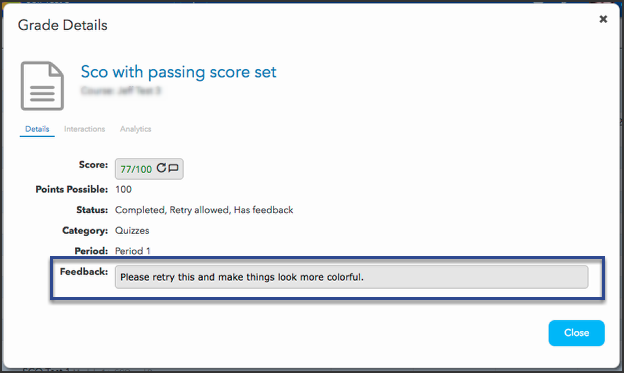 Teachers and students will see the icon and be able to access the feedback anywhere that scores are displayed. Would you be willing to provide these instructions for V3, please?